Farewell Harbour Lodge boasts a talented pool of deeply passionate guides and lodge staff who all contribute to our success as a team. Tim is the General Manager and lead guide for Farewell Harbour Lodge. He brings over twenty years of diverse experience in the tourism industry. 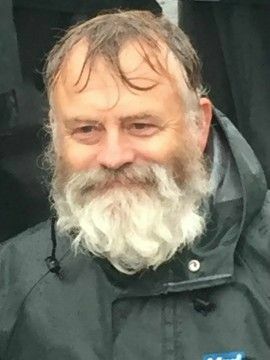 After completing a degree in biochemistry at the University of British Columbia in 1990, Tim began guiding sea kayak expeditions moving between Baja, Mexico’s Sea of Cortez in the winter and the west coast of Vancouver Island in the summer. He also led month long sailing, hiking and sea kayak expeditions for the National Outdoor Leadership School (NOLS) in Mexico, Alaska and coastal BC. 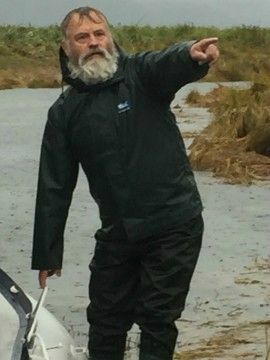 After a brief stint on faculty in the Tourism Department of North Island College on Vancouver Island, Tim began working in Knight Inlet, leading bear viewing and whale watching excursions. He also helped establish the Commercial Bear Viewing Association (CBVA) in collaboration with a number of other top bear viewing companies in BC. With the completion of a Masters degree in Leadership from Royal Roads University in Victoria, BC in 2007, Tim took a hiatus from the tourism industry to work as a leadership development consultant in Latin America. In 2010 he found his way to Klemtu where he began managing the First Nations owned Spirit Bear Lodge in collaboration with the Kitasoo/Xaixais Nation. Tim is now keen to bring the same passion, experience and drive for excellence to his work as General Manager of Farewell Harbour Lodge. Tim is married to Kelli for over 20 years and they have 2 boys, Connor and Kai - all of whom are active in the business in some form. They live in Comox on Vancouver Island in the off-season. Ryne Brockway, shown here with his wife Rebecca, is the Co-owner and lead guide at Farewell Harbour Lodge. Ryne built our predecessor business, Bones Bay Lodge, single handedly from the ground up into a thriving, niche wildlife lodge which was very recently recognized by the Canadian government’s tourism marketing arm as a Canadian Signature Experience. This prized accolade is a testament to Ryne’s ambition, passion and work ethic. He derives his strong work ethic, personal responsibility and sense of integrity from his roots as a child growing up on a family farm in southern Alberta. He graduated from the Southern Alberta Institute of Technology (SAIT) in Calgary in 1979 with an Associate Degree in Aircraft Maintenance Engineering. He worked in the heavy equipment and transportation sector managing a fleet of 125 trucks along with his sales team and dispatchers. 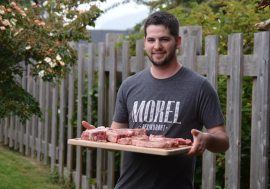 He began laying the foundation for Bones Bay Lodge in 2009 to fulfill his passion for the BC west coast wilderness while simultaneously continuing his sales career in the commercial trailer sales sector. In 2015 he started his own commercial trailer sales company in partnership with a colleague in Spokane Washington called Inland Pacific Trailer Sales. Ryne, a dual US/Canadian citizen, has been married to Rebecca Brockway for 27 years and they have 4 grown children and a home in Spokane, Washington. Kelli loves wildlife, wild places and her family. After graduating from Simon Fraser University in 1988 with a degree in Criminology, Kelli worked with high risk youth and families also attaining a diploma in family and marital therapy. 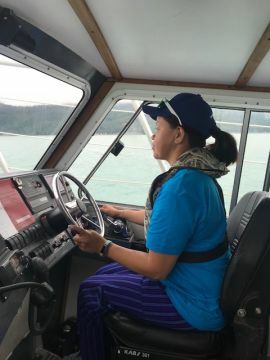 While working as a counsellor in the Alternate School system in Vancouver, she spent the summer volunteering as a field assistant on a killer whale study in Johnstone Strait in 1990. 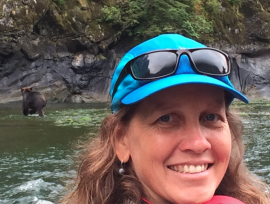 This fed a lifelong passion for orcas as well as a desire to work in a wilderness setting. 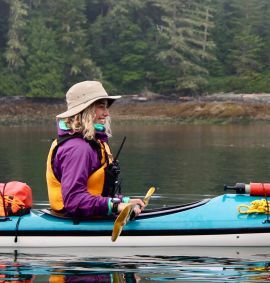 After meeting Tim, it didn't take long to leave the city behind and begin guiding sea kayaking expeditions in Baja Mexico's Sea of Cortez in the winter and the west coast of BC in Haida Gwaii and Clayoquot Sound in the summer. 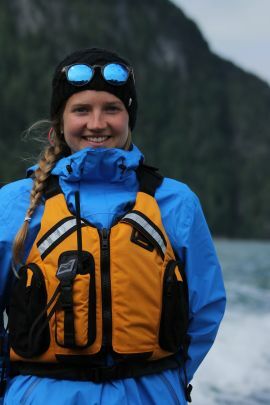 Kelli then co-ran a youth and wilderness program over a number of summers on the west coast of Vancouver Island and led a month-long sea kayak expeditions for 5 years for the National Outdoor Leadership School in Baja Mexico, Alaska and the coastal BC. 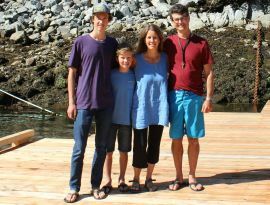 After years of amazing adventures in wild places, Kelli happily embraced life at home in the Comox Valley to raise Tim and Kelli's two sons, Connor and Kai. 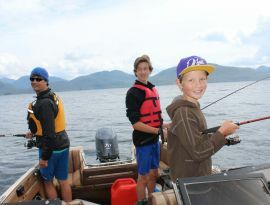 This involved homeschooling and lots of time spent outdoors on the oceans, rivers, lakes and mountains. Kelli began working for Spirit Bear Lodge in 2010 in reservations and operations support. 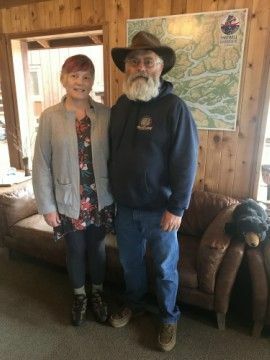 She is now happy to focus her experience, time and energy on Farewell Harbour Lodge - a place she hopes will inspire guests to connect with themselves, each other and nature. In doing so, she hopes it will help foster a commitment to living more sustainably on our beautiful, fragile planet. Dave was born in Switzerland, en route to Zaire (Congo) where his parents were missionaries. Growing up, Dave also lived in Scotland, Ohio, Ontario and British Columbia. It was a high school outdoor pursuits program in Vancouver that set him loose in the outdoors and introduced him to the passion of his life. 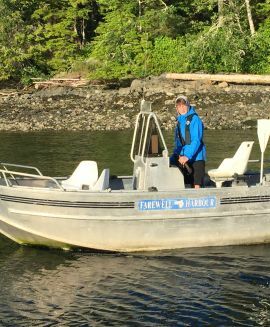 Dave began his guiding career in 1987 on Vancouver Island and has since guided and instructed for a number of organizations in many locations including British Columbia, Alaskan Coast, Sea of Cortez and Patagonia. 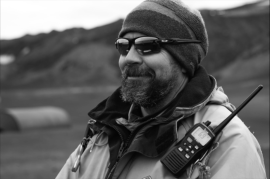 He has guided extensively in the Arctic since 1999 and feels truly at home in the high latitudes with experience on land, sea, river and ice in Northwest Greenland, Baffin & Bylot Islands, Banks Island and the mainland Arctic Coast. Outside of work, Dave’s adventures include mountaineering expeditions, rock climbing, bike touring, white water canoeing and kayaking. When he’s not guiding, Dave lives in the small northern town of Haines Junction, Yukon with his wife Cindi and two boys Callum and Dawson. He also works on the local ambulance crew or can be found in his woodworking shop, trying to create the perfect cup of coffee and hunting Bison. Lindsay Pettis was born and raised in the Comox Valley on Vancouver Island. Growing up partaking in every outdoor activity possible, her love for adventure grew as she realized the beauty and power of nature. From snow to surf, Lindsay's passion for wilderness always shines through! She's very grateful to have been raised in a family of kayak connoisseurs, going on her first week long kayak mission at the age of 6 months and carrying on the tradition every year after. Studying at the University of Victoria, she has nearly completed a Bachelors of Science in Psychology. With a strong interest in the environmental psychology stream, she's also completing a minor in Human Dimensions of Climate Change. With a bright smile, she always remembers that "wherever you go, no matter what the weather, always bring your own sunshine". Sylvia was born in the Comox Valley and grew up loving the outdoors and all things active, particularly cross country skiing. After she stopped racing she switched to coaching, this brought her to Victoria to study and get her Degree in Sports Management. She enjoyed teaching others to push past their comfort zones and learn the benefits of an active lifestyle, which is why she loves being a guide at Farewell Harbour Lodge. Being outside with the wildlife and showing people the place that she calls home is special. Seeing the guests faces when they disconnect and witness the magic of the area is the greatest feeling! In 2012, James left Canada for a 3 month backpacking trip and simply never made it home. Instead he has been travelling the world as a SCUBA instructor and wildlife guide. He has lived and worked in a multitude of different locations across Asia, Africa and Latin America, always in search of the next great experience above and below the water! From Orangutang in Indonesia to Tigers in India or Giant Manta Rays in Mozambique. James is always looking for the next opportunity to view some of the worlds most iconic animals. Back here in Canada he has been spending time under the water searching for Giant Pacific Octopus and other marine life. We are happy to welcome James to the Farewell Harbour Lodge team. His passion for wildlife and desire to share his knowledge and experience with every guest makes him AWESOME! Eleanor was born in Campbell River and has spent all her life on and around the waters of Northern Vancouver Island. Eleanor is a proud member of the Da'naxda'xw First Nation whose village is located within the Broughton Archipelago but whose traditional territory lies in Knight Inlet. Eleanor has had strong cultural teachings from her late grandfather, hereditary chief William McKenzie Glendale, on the importance of respecting your land and resources and to know who you are and to always remember where you come from. 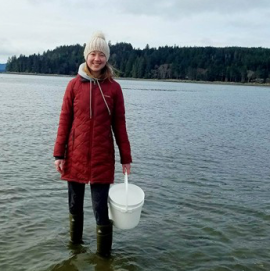 She has always had an active lifestyle being outdoors on the water and spending a month every year at the head of Knight Inlet harvesting the Eulachon fish with her family as part of their cultural heritage. She is on the completion phase of the "Aboriginal Eco-Tourism" program sponsored by the Vancouver Island University after which Eleanor will take her knowledge and teachings into the next great adventure she calls life. Keshia moved to British Columbia 3 years ago from her original home in Wisconsin with her life partner Matt. They live on an amazing little island near Farewell Harbour Lodge called Malcolm Island, in the town of Sointula. They have 2 fur-babies, Otis and Rhubarb. Keshia spends her summers at FHL housekeeping. In the off season she splits her time between visiting her friends and family in Wisconsin and helping out at a lovely local cafe in Sointula. She loves the Green Bay Packers, new adventures, crafting, pretty much every dog she meets and long walks on the beach...with her pugs! From a very young age he has been in a kitchen and really enjoys every aspect of food. Nothing brings a smile to Matts face more than his fiance Keshia, his two pugs and of course a perfectly cooked wild salmon. You could say that Matt is a "local", having lived on Malcolm Island with Keshia for a little over three years. He can shed some light on life here on the North Island should you care to ask. In the winter Matt works at a cafe he helped open called Coho Joe Cafe in Sointula on Malcolm Island. Kai was born and raised in the Comox Valley on Vancouver Island and spent most of his fifteen years on this planet outdoors - either on or near the ocean or skiing at the mountain near his home. With many hours spent with his mom and dad watching bears and whales all over the BC coast since he was very young, Kai has developed a keen eye and passion for wildlife. 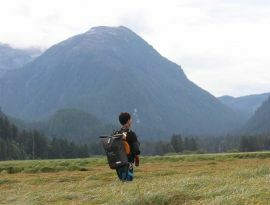 As he finishes high school he enjoys spending his summers at the lodge on the boats watching whales and deep in the river valleys of the Great Bear Rainforest looking for bears. In the winter, he logs as much time he can on his skis in search of clean powder at Mt. Washington Alpine Resort. His dream, after graduation, is to become a back country ski guide.